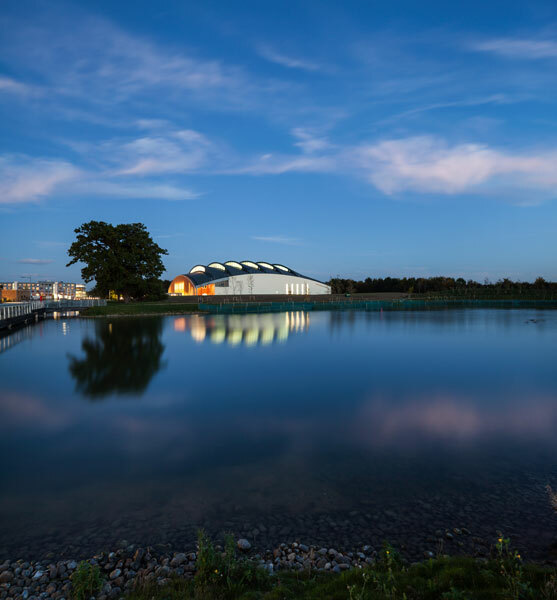 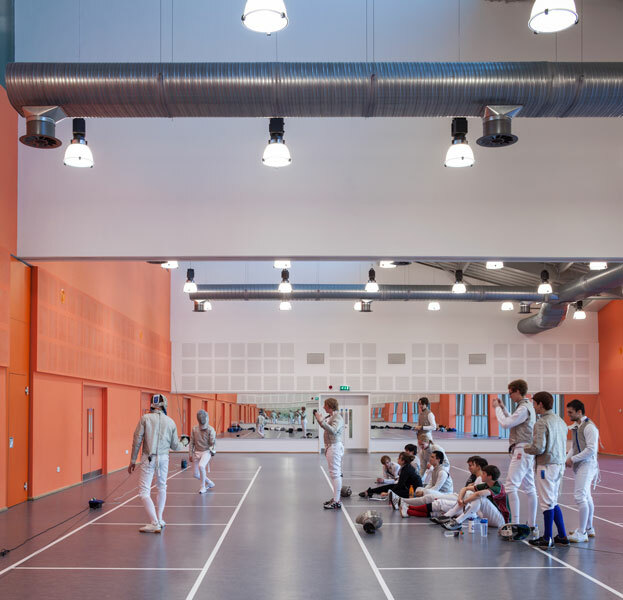 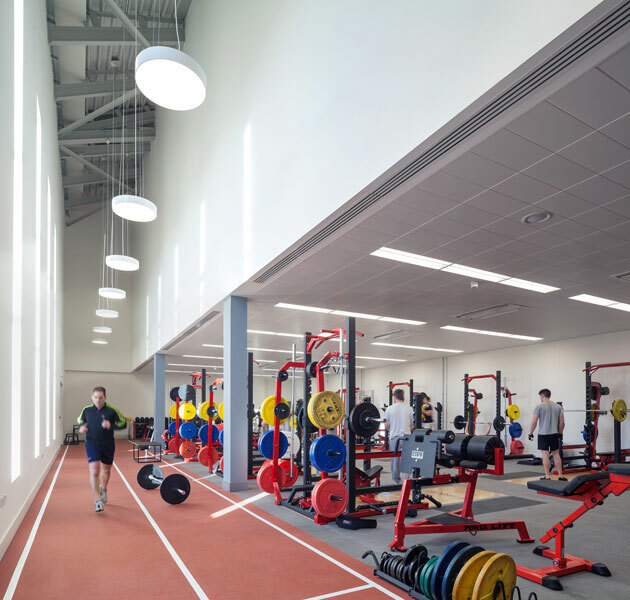 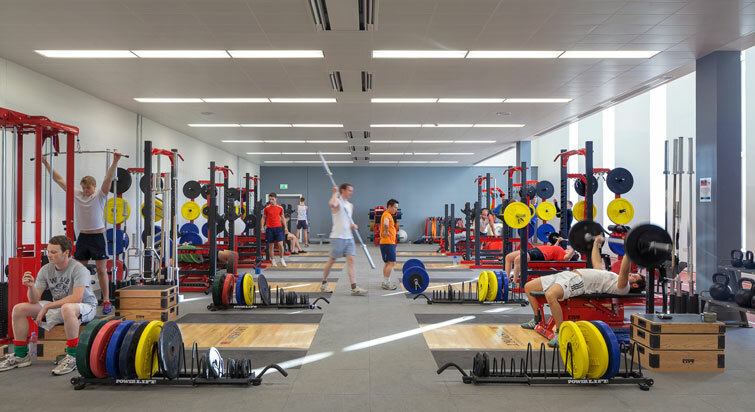 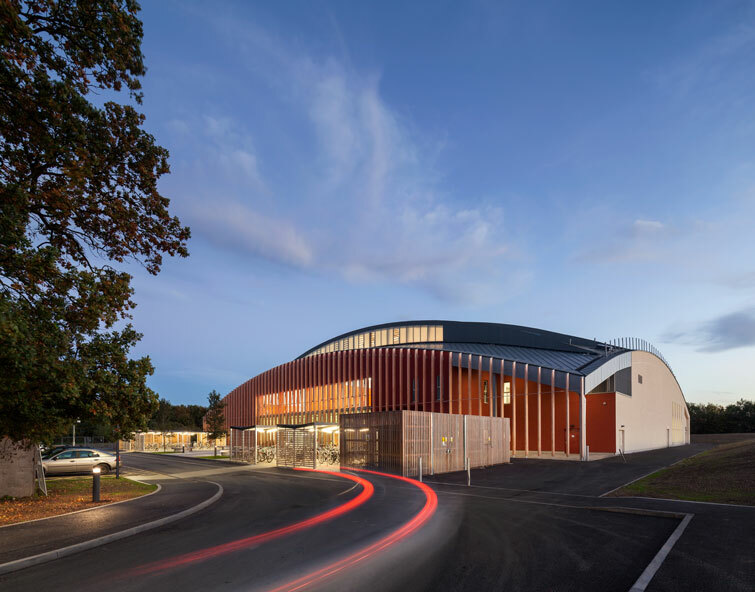 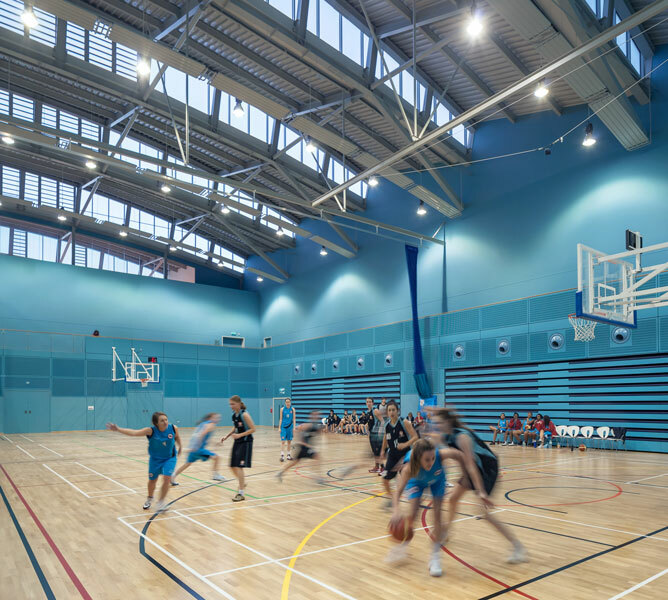 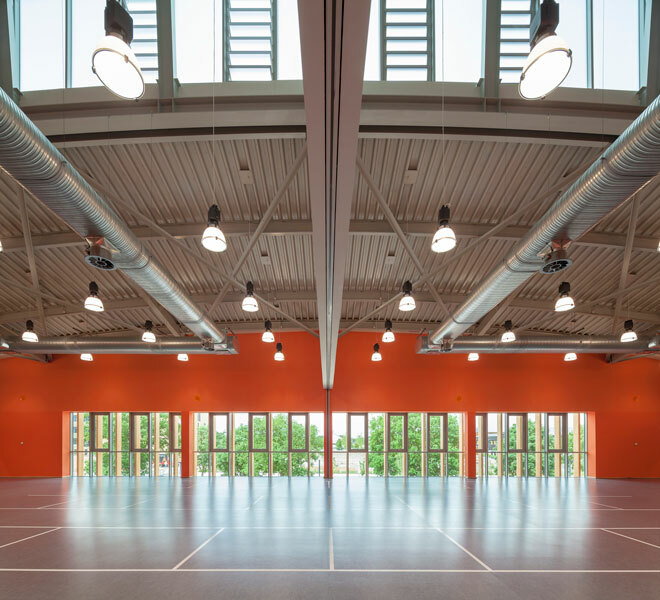 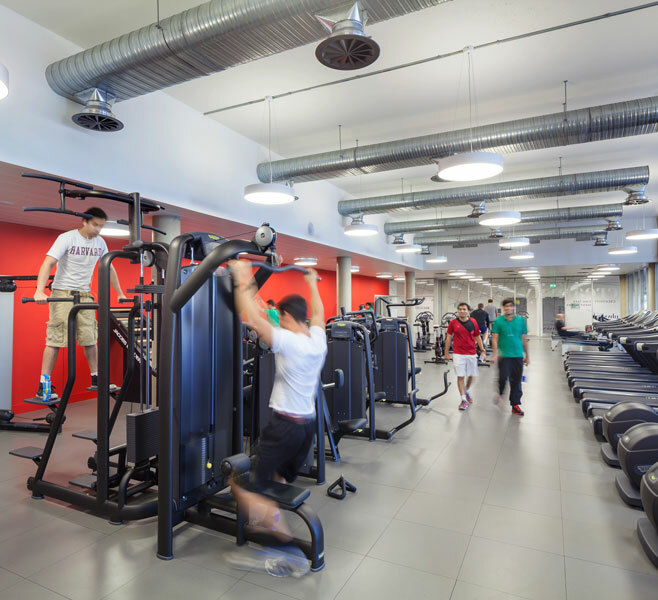 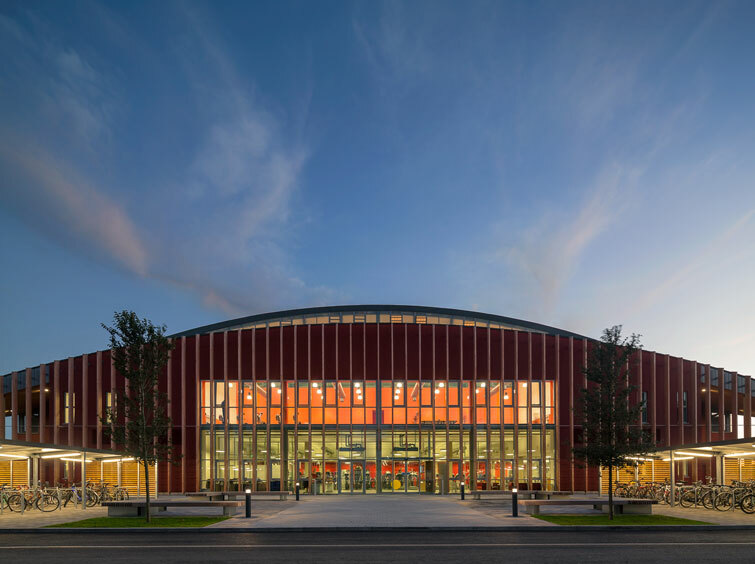 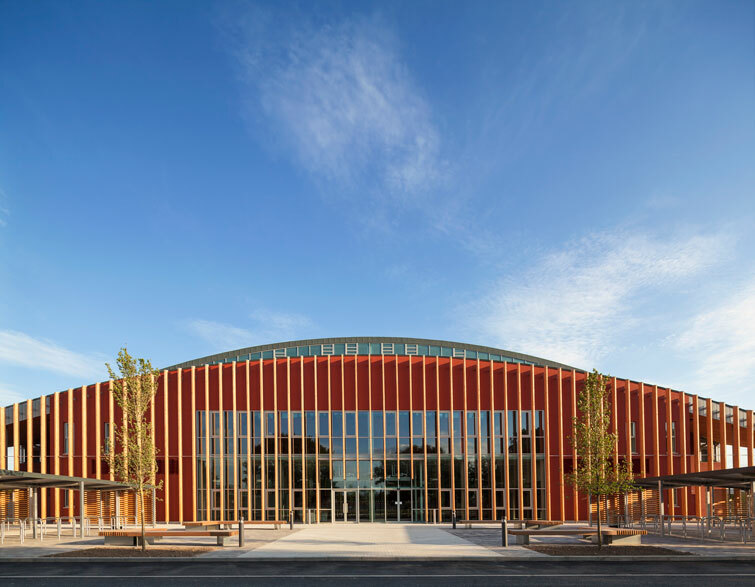 The completion of the 6,060 m2 Cambridge Sports Centre in summer 2013 marked the first phase of this long-term, comprehensive strategy for sporting infrastructure and a world-class sports facility. 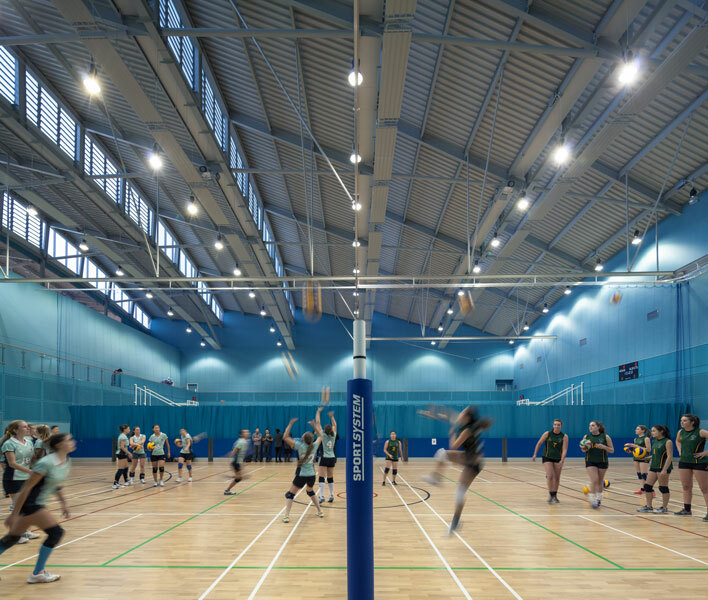 This phase includes a sports hall and gym, with a new 50 metre swimming pool and a tennis hall to be delivered in future stages when funding is secured. 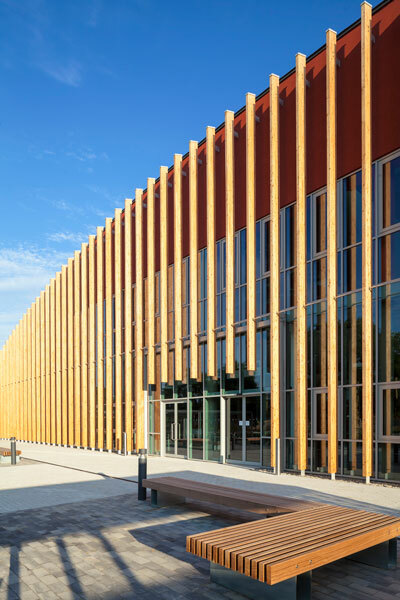 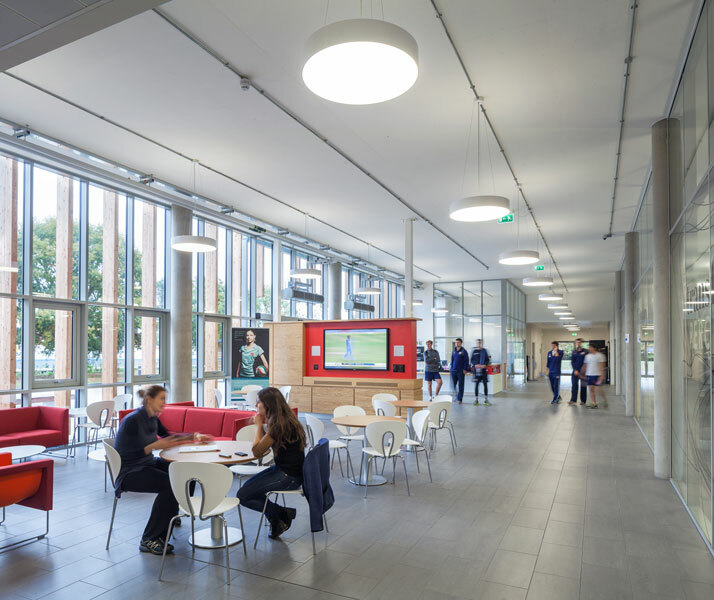 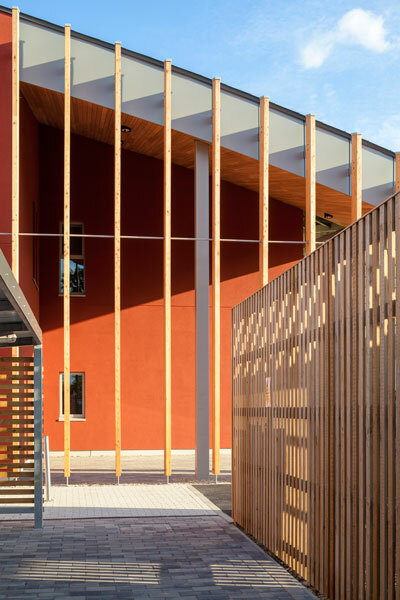 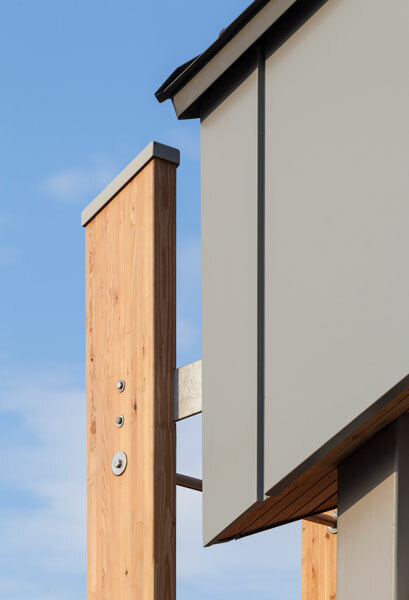 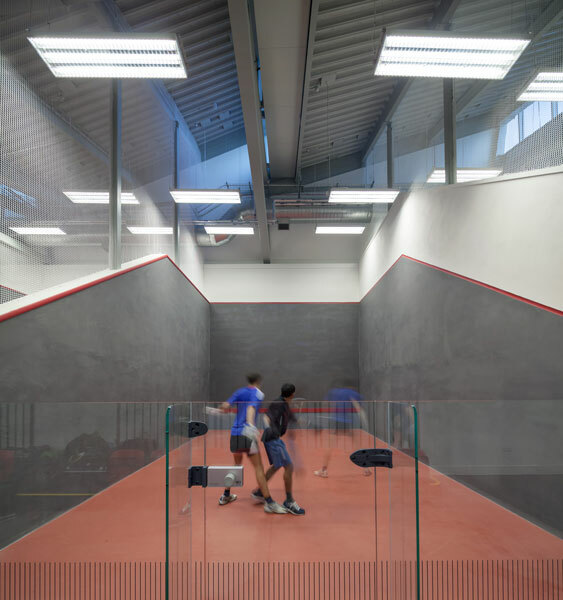 Through its use of natural ventilation and daylighting, and an integrated approach to sustainability, engineering and architecture, the building provides a unique environment for sport. 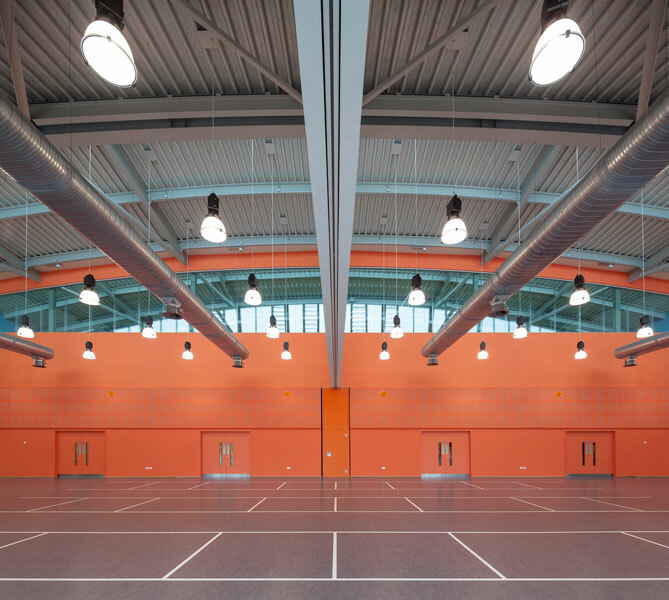 The main multipurpose hall is naturally lit and ventilated, primarily through the incorporation of mechanically operated, louvred north lights. 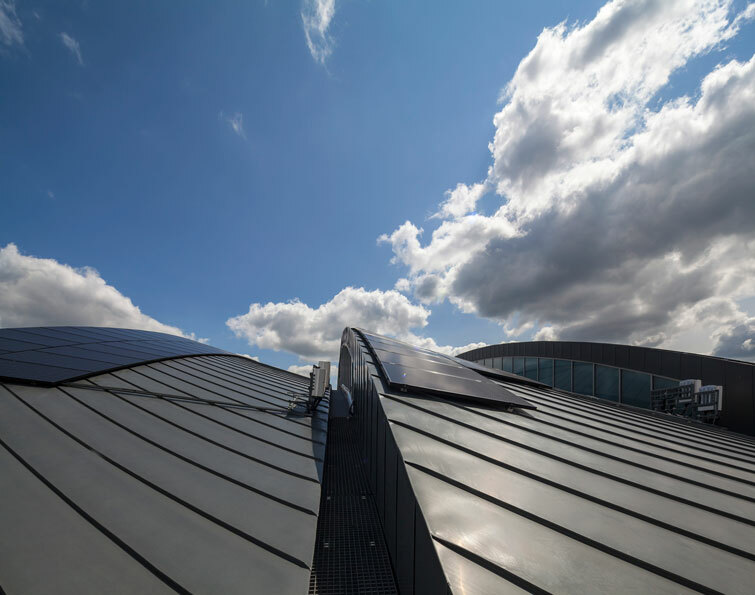 These north lights emerge from the domed roof and support solar collectors which reduce the energy required to support the building’s requirements for hot water.